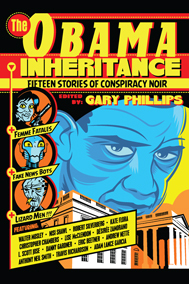 The Obama Inheritance, with its thrilling collection of 15 pulpy stories of “conspiracy noir,” has struck a nerve in the nation’s reading public, netting another rave review in today’s Washington Post. Three Rooms Press fans are telling us that this book will definitely be on their holiday gift list. And why not? Just check out all the high-octane press it has garnered.